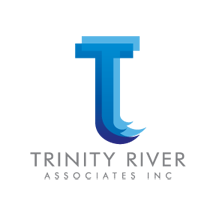 Trinity River Associates is the Home TAB in The Woodlands, Texas. The Alternative Board TAB® is a community of owners of private businesses that assemble to overcome challenges, to seize new opportunities and to prosper through peer learning, executive coaching and unprecedented access to premier tools and resources. TAB members meet recurrently to leverage each other's successes and mistakes and to grow their businesses to the next level. Members also create more valuable and profitable companies with scheduled strategic business coaching sessions focused on business and personal growth.